The inventor of the first spectacle lenses is unknown. Roman tragedian Seneca (4 BC -65AD) is said to have used a glass globe of water as a magnifier to read ''all the books of Rome''. It's been reported that monks in the middle ages used glass spheres as magnifying glasses to read. The 13th century Venetians glass blowers are known to have produced reading stones made of solid glass that was put into hand-held, single lens-type frames made of horn or wood. These reading stones were similar to hand-held magnifying lenses of today. Most historians believe that the first form of eyeglasses was produced in Italy by monks or craftsmen in Pisa (or perhaps Venice) around 1285-1289. These magnifying lenses for reading were shaped like two small magnifying glasses and set into bone, metal, or leather mountings that could be balanced on the bridge of nose. The first known artistic representation of the use of eyeglasses was Tommaso da Modena's painting in 1352. His painting depicts monks reading and writing manuscripts. One monk uses a magnifying glass, but another wears glasses perched on his nose. 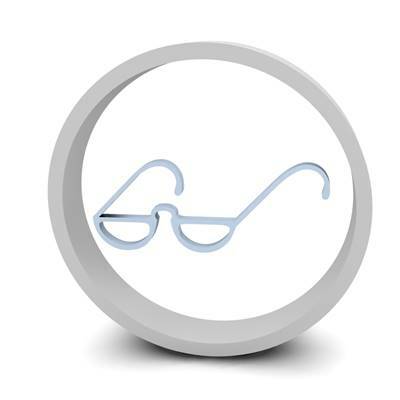 The first eyeglasses can only be used to rectify hyperopia and presbyopia. 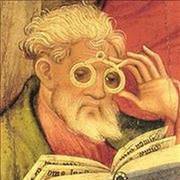 And those eyeglasses for myopia appeared much later, sometime in the early 1400's. In the 17th century people knew the principle of the concave and convex lenses. 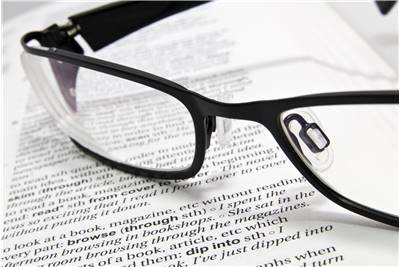 Eyeglasses can be produced with single lenses that correct for distance vision or up close, or they can be manufactured with multifocal lenses, which correct both distance and reading. 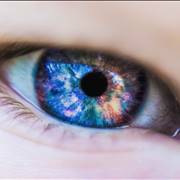 Concave glass is used to correct nearsightedness, so that the rays of light are diverged. Convex lenses are used to aid the correction of farsightedness, so that the light rays are converged. 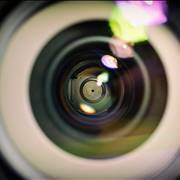 Cylindrical lenses used to correct astigmatism were invented by Sir George Airy in 1825. Bifocal lenses can be used to treat with nearsightedness and presbyopia (with a lower part for viewing objects near at hand (as in reading)). They were the first devised by Benjamin Franklin in 1784. 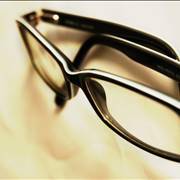 The first eyeglass frame temples were made by Spanish craftsmen in 1600's. They affixed ribbons of silk or strings to the frame and loop them over the user's ears. The new types of eyeglasses carried out to China by Spanish and Italian missionaries. Instead of making loops, the Chinese attached small metal weights to the strings. In 1730 Optician Edward Scarlett designed rigid temples that rest atop the wearer's ears. 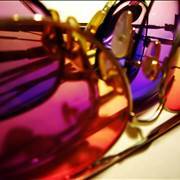 Glass, plastic or polycarbonate are lens materials for glasses. Glass was the original material for spectacles because it has great optical clarity, but the glass lenses can be very heavy in stronger prescriptions. 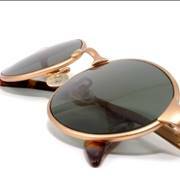 Plastic lenses are much lighter than glass but they are prone to easily being scratched. 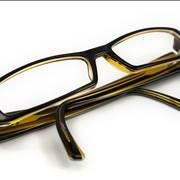 The lightest and thinnest lens material for glasses is polycarbonate, also called CR-39. It is believed that approximately 64 percent of the adult population in America wear glasses while 20.5 million age 60 and over have cataracts. 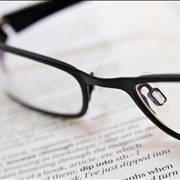 Incorrect eyeglasses may do harm to your eyes, so lenses should be prescribed by an ophthalmologist or optometrist and made by a skilled optician.